Having hounds in the house does a couple things. First, you have to stay fairly clean and picked up. The day you don’t, they go and pull the dirty undies out right when you have unexpected guests stopping by. Second, you tend not to put too much hope that you will win the lawn of the month award from your homeowners association. Third, they keep you Honest. After all, Dogs don’t lie. They are the most honest creatures telling you exactly how they feel at that moment. They tell you when they are hungry, bored, annoyed, and when they need love. Best of all, they help you get up in the morning. Today we did about 2.5 miles. 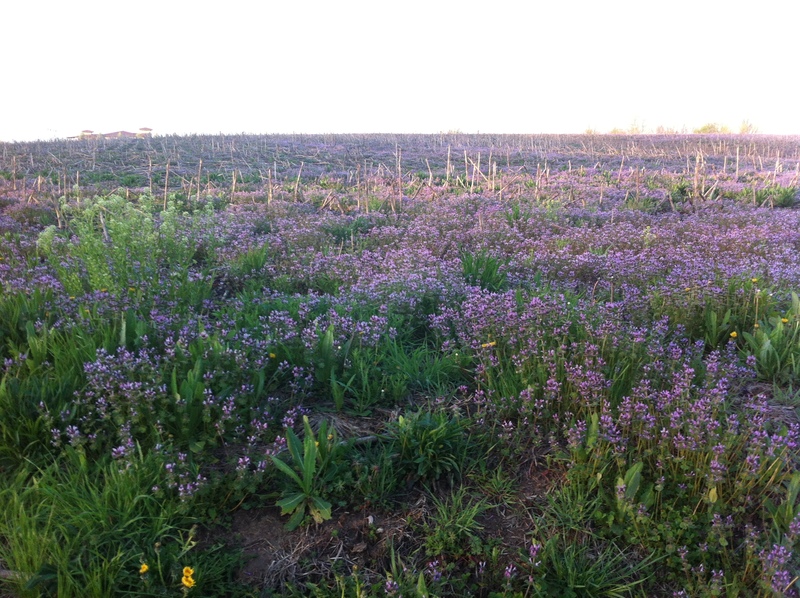 I got a couple pictures of the purple clover in the corn fields. These fields have been various shades of purple for 2 weeks now. I love how the color looks first thing in the am and late evening. 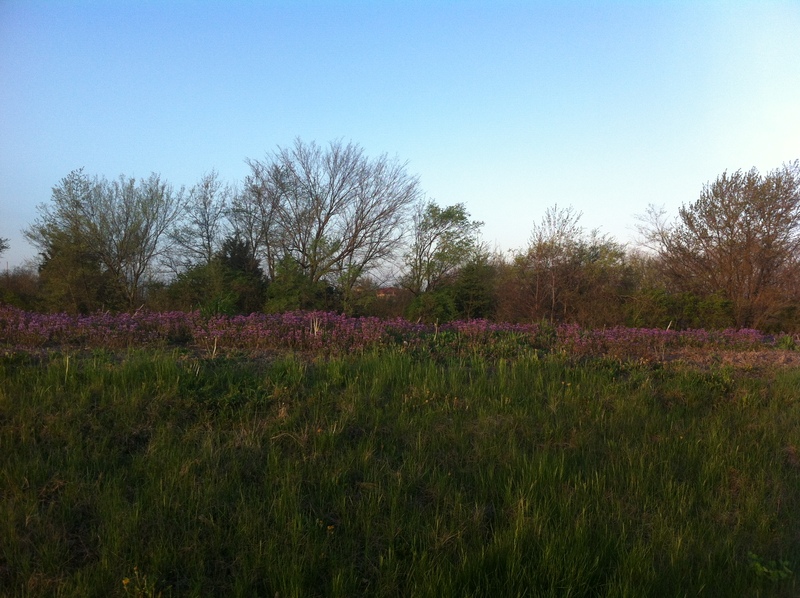 This entry was posted in play outside and tagged am walking, dogs, purple clover by julia. Bookmark the permalink. GREAT PHOTOS! Is that Lupine I see? Love the purple clover! Someday maybe we’ll be there while it’s blooming…. well, we’ll have to have you come in April sometime. Usually by the end of march we have blooms, but this year with all the “global warming” there has just been too much cold rain and snow flurries for anything to bloom. The Tulip magnolia’s only bloomed 2 weeks ago. Very late! !